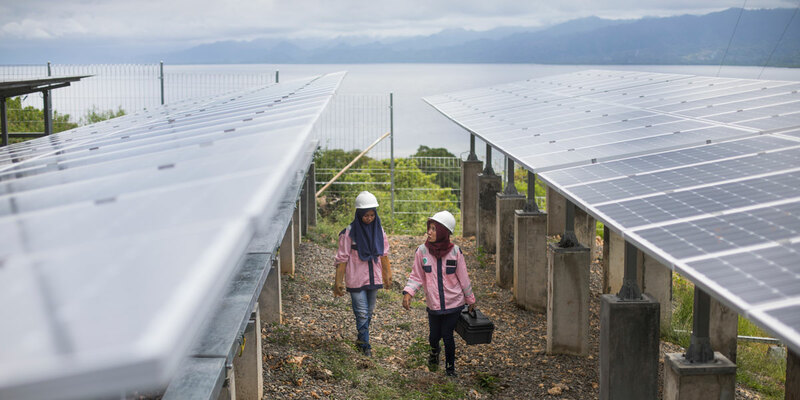 In Indonesia, MCC invested in renewable energy and natural resource management to protect the country’s natural capital. MCC’s APS is accepting concept papers for partnerships to enhance our capabilities in environmental and natural resource economics. MCC’s Partnership Annual Program Statement (APS) is the agency’s primary mechanism by which we co-create, co-fund, and co-implement partnerships that support MCC’s ability to achieve its mission and programmatic goals. MCC invites organizations to submit concept notes that bring new ideas, technologies, or practices to partner with us in addressing specific challenges or opportunities as outlined in the APS. Interested parties are encouraged to form groups where teaming would help to provide a more comprehensive set of capabilities relative to the partnership opportunity. The APS is used to provide open, fair and transparent competition of funded partnership opportunities to which MCC will be party. MCC also has non-funded and MCA partnership opportunities on our Partner With Us page. The current APS announcement period is March 26, 2019 – March 25, 2021. We are inviting concept papers for partnerships in the areas listed below. Additional partnership opportunities may be added over the course of the APS announcement period and partnership opportunities will be closed and removed as MCC’s partnering interests are met. Please send any questions or general correspondence about the APS to MCC at apspartnerships@mcc.gov. Summary: MCC seeks co-funders and consortia partners to blend resources and work jointly on enabling the use of data by and for women’s economic empowerment in partner countries, and initially in Cote d’Ivoire and Lesotho. The “use of data” in this context pertains to a broad spectrum of activities from simple numeracy and data literacy to data preparation, visualization, and complex data analytics and data science, irrespective of sectors since the tools and methods to process and analyze data at each level are transferable – and aims to increase the fraction of women with skills in the growing global digital economy. Summary: MCC seeks partners to enhance analytical capabilities in various subfields of environmental and natural resource economics, including water resources, natural resource accounting, and climate change. The wide array of research findings, experiential knowledge, and analytical and empirical tools in these subject matter areas has expanded dramatically in recent years. Such resources include geospatial data, analytical frameworks and models, computing and communications technologies, and algorithms. MCC wishes to partner to more effectively access cross-disciplinary advances in modeling climate impacts and ecosystems services benefits. MCC seeks, moreover, to more systematically integrate these considerations in the agency’s project assessment methods and economic analyses while contributing to the broader advancement of environmental economics in international development. Summary: Summary: MCC seeks partners interested in working with us to help MCC successfully and sustainably address the barriers to women’s (and ideally youth) entrepreneurship and sustainable business growth in compact countries, starting with Lesotho, Tunisia and Timor-Leste. MCC would like to work in partnership to adapt and test models and tools in Lesotho, Timor-Leste and potentially Tunisia, contributing to MCC’s due diligence in the development of interventions. MCC is interested in testing options for interventions that could, through subsequent activity, be scaled up and evaluated at a later stage of the compact. Ideally, impact evaluation planning would also be part of this due diligence work so that the work can contribute to a broader learning agenda. This might include economic analysis to estimate ex-ante and ex-poste the benefits to individuals and households from interventions. Summary: MCC seeks partners that would be interested in enabling greater collaboration among emerging data science training efforts and centers in Africa, such as the Tanzania Data Lab, the Sejen Virtual Lab in Cote d’Ivoire, a similar such center being considered in Lesotho, and the Kenyan “Africa Data hub” amongst others. Specifically, the partnership would seek to leverage third-party funds; tools, equipment and software; and/or expertise to support collaboration amongst these centers of data skill-building. Objectives of the collaboration would be to encourage standardization of the technology (systems, telepresence capabilities) and interoperability, enable uniform approaches to curriculum to help optimize cost and efficiency of training; and/or scale these efforts by supporting or seeding additional locations of data skill-building in strategic locations, and ensure social inclusion. As data supply, technology, mobile assets continue to increase, this partnership would provide a much needed coordination and scaling of efforts to build a data culture and data science skills in Africa. Summary: Rapidly improving the capabilities to process and analyze geospatial and earth-observation data by key country counterparts (i.e. local skill base), coupled with opening of significant data sets, have set the stage for important advancements in the use of this data for making better development decisions and driving economic outcomes. MCC has the opportunity to participate in these advancements and to use them to enhance its work by being open to partnering with those already working in this space, and to providing some co-funding for these opportunities. MCC is interested in collaborating with partners to enable the of use earth-observation and geospatial data sets by country-based stakeholders, as a way to innovate the methods used by the agency and its partner countries. Summary: MCC faces a demanding, yet opportune challenge: In order to effectively implement its core methodology – evidence-driven decision making – it must continually absorb and apply a burgeoning body of external evaluation and scientific evidence to inform and improve its investment decisions. MCC seeks to partner with one or more leading institutions to gain provide real-time engagement on available evidence and expertise related to evaluation and applied development economics to raise the quality and quantity of evidence used to inform MCC’s evaluation and investment practices. 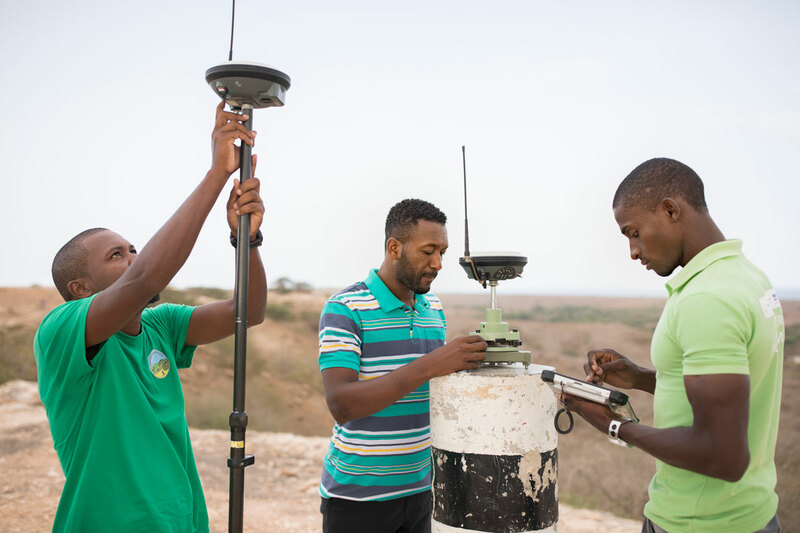 In Cabo Verde, MCC invested in new technology for clarifying land parcel rights and boundaries. MCC’s APS is accepting concept papers for partnerships to improve geospatial and earth-observation data in our partner countries. *Steps listed above with an asterisk are by MCC invite only for successful applicants. The APS on grants.gov is the definitive source for information and guidance related to funded partnership opportunities and how to apply. You can find more details, including the objectives of the partnership, likely focus countries, the desired timeframes for the implementation of partnership activities, and details of cost-share and financial reporting requirements in the full APS announcement, which you can download at Grants.gov under “Related Documents” on that webpage. MCC partners with companies, financial institutions, foundations, universities, non-governmental organizations, faith-based organizations, development agencies, and fellow U.S. government agencies to reduce poverty through economic growth.